How do I Choose the Best Anti-Spam Tool? An effective anti-spam tool can save time and computer memory by keeping unwanted emails out of a user's inbox. Spam represents a very real threat to millions of e-mail users worldwide. Some anti-spam products filter emails based upon a continually updated list of known spammers. Choosing the best anti-spam tool can depend on your needs, email account type and knowledge about computers. If you're a novice to computer programs, a program that doesn't need much configuring can be the tool for you. On the other hand, selecting an email program that is advanced enough to detect virus threats contained within incoming email can spare you a lot of trouble. Features such as email filtering and low memory usage are also things that you might want to consider while choosing an anti-spam tool. Know how a program works before you download it onto your computer. Some anti-spam tools are straightforward in that they work seamlessly with your email client to stop spam. Others might require a lot of configuring and can necessitate that you have more than one email account so that it can forward email to either account. Understand the limitations of any anti-spam filter that you are interested in downloading. There are some programs that can help filter spam using only Post Office Protocol (POP) email accounts. If you don't have a POP account and you are looking for an email filtering system, programs that work with POP email accounts will not work for you. The same situation can arise with programs that are designed to work only with Internet Message Access Protocol (IMAP) accounts. An advantage of using an anti-spam tool is that it can help you categorize and classify your email. While the program itself can filter out unwanted junk mail from your inbox, certain programs can also provide a classification system that can make it easier for you to retrieve and archive your email. In this way, the program can act as a pre-sorting tool as well. Those programs that offer previewing abilities can add to your email productivity. Pick an anti-spam tool that can protect your computer system from viruses. Dangerous viruses that can compromise your computer's stability and performance are often delivered via email. For this reason, installing a good anti-spam tool is necessary to protect your computer from outside threats. You'll want to pick an anti-spam tool that can not only detect viruses but has many current virus definitions in its database. An email filtering tool that updates itself so that virus definitions are always current and reflect the latest threats can only help you keep your computer clean and safe. The best anti-spam tool will be compatible with your computer's hardware and operating system. It also will be light on memory, so that it doesn't compromise your system's operations. After you install a program, be mindful of the way it interacts with your central processing unit (CPU), in order to avoid other computer problems. How do I Choose the Best Linux&Reg; Spam Filter? How do I Choose the Best Spam Appliance? What are the Different Types of Anti-Spam Services? How do I Choose the Best Corporate Spam Filter? 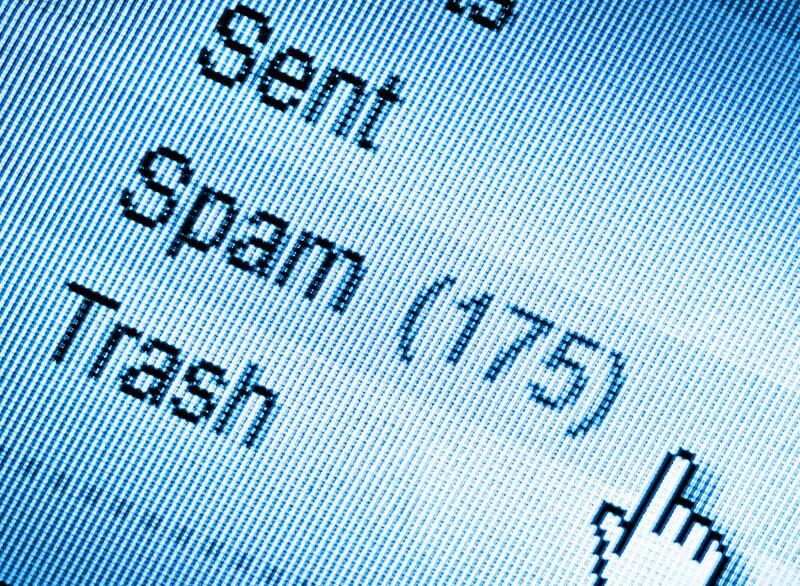 What are the Different Types of Anti-Spam Laws? What is an Image Spam?